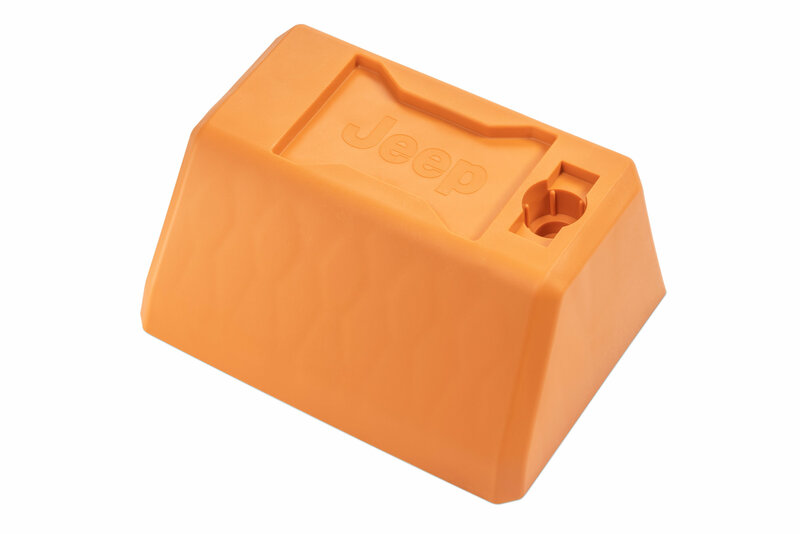 The Mopar Jack Base will provide 4.5 inches additional height for the factory scissor jack on your Jeep Wrangler JL. 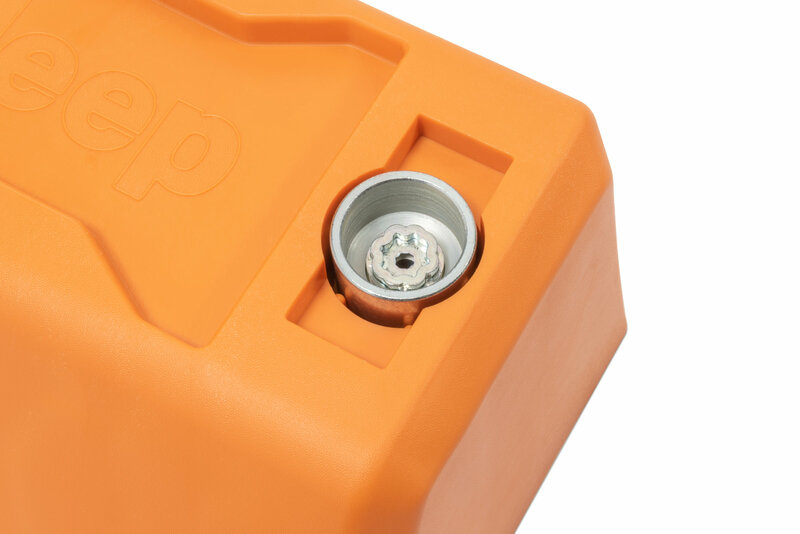 Whether you have installed larger tires or lifted your Jeep this jack base will provide the additional height needed to jack up your JL. 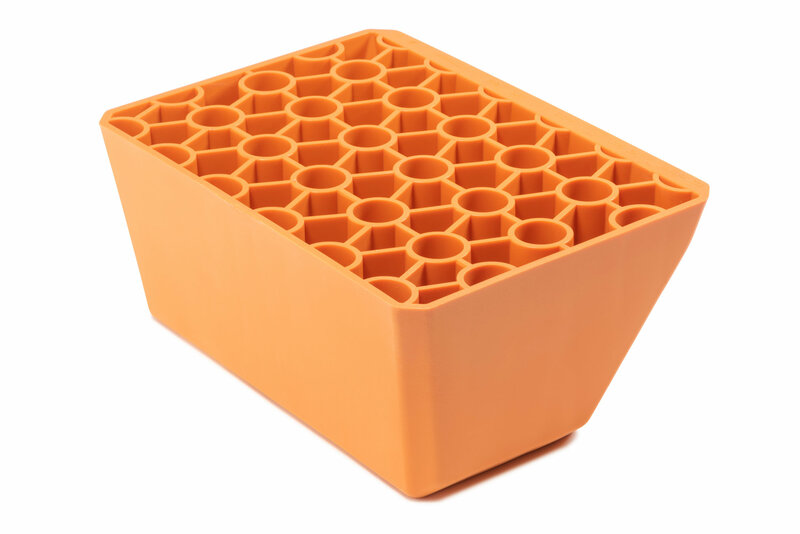 Made from a 1-piece hard polymer giving strength and durability with a wider base (11 x 7 3/4 inch footprint). 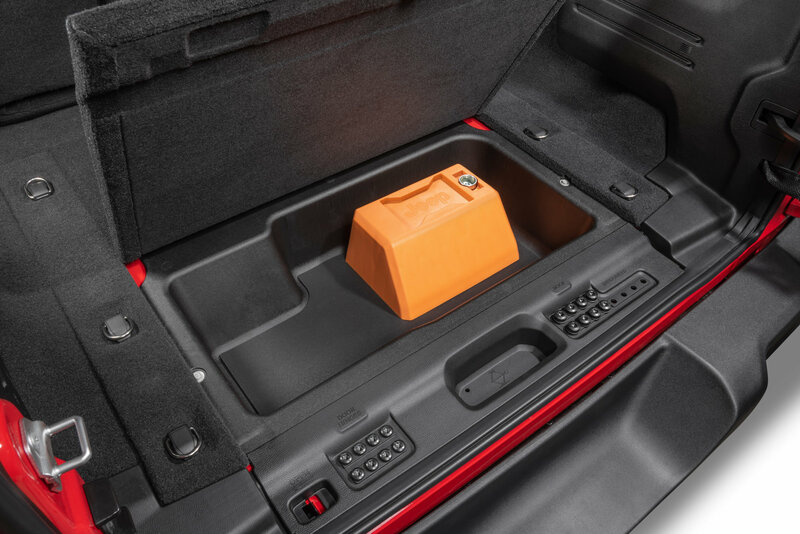 Stores in the floor compartment for easy access and has accommodations to store the OEM wheel key. Never get stuck without being able to change out your spare tire. Please Note: The Scissor Jack and Socket are not included. 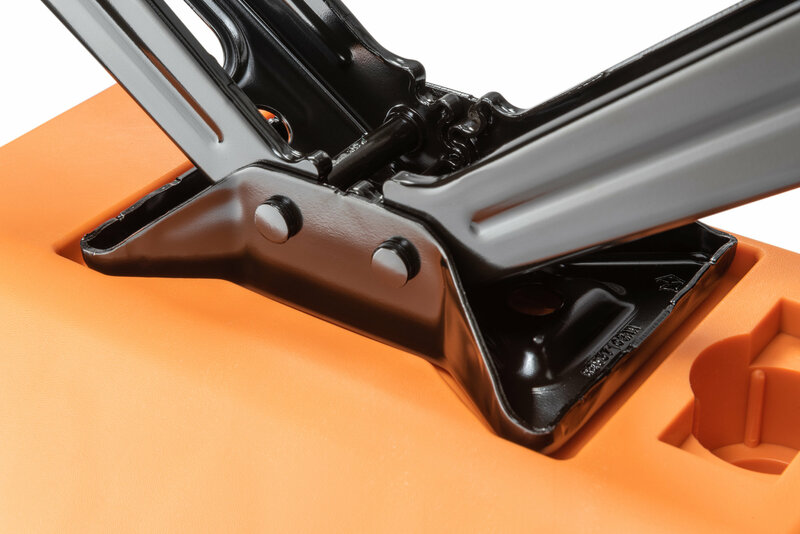 4.5" Additional Jack Height: This jack base will provide the ample height needed when using a factory scissor jack on a lifted Jeep with larger tires. The honeycomb guts help to reduce the weight and also give necessary strength. 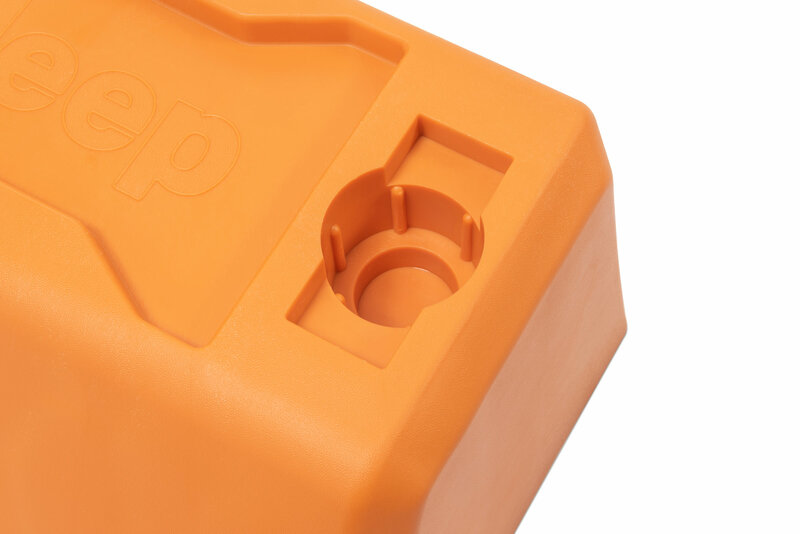 Larger Footprint: The increased base size will help prevent sinking into the ground no matter where the trail may take you (11 x 7 3/4 inch base footprint). 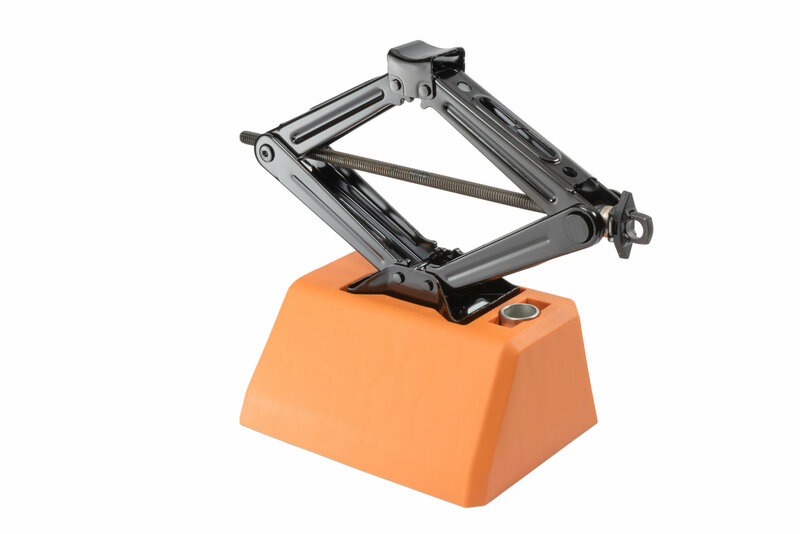 Wheel Chock: This Jack base can also be used as a wheel chock. You never know when a trail repair will be necessary and this will allow you to feel safer when crawling under your Jeep. Keeping your Jeep in place on those steep grades when parked.